First of all; I'm sorry that this comes a bit later than it's supposed to. Life happened and I got a bit overwhelmed. But I'm still going to post these even if it means I'll have to post more than one in one day. I took on this challenge and I'll finish it! Onto todays challenge; Favorite false lashes. 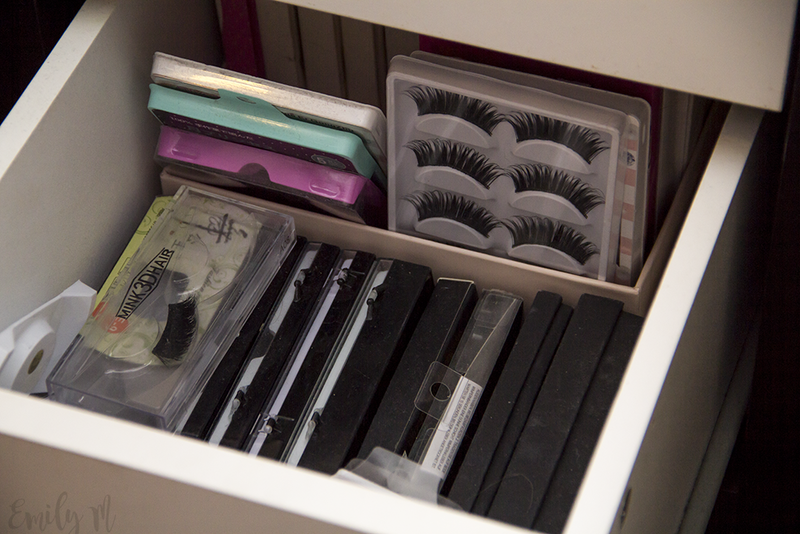 As you can see on the photo I have a whole drawer of them. And I honestly can't choose a favorite from them, since I basically use them all depending on what look I am going for. Almost every pair I have is from Ebay, mostly because you can get a pack of 5-10 pairs without breaking the bank. And most of them is in good quality. I would recommend going up tp $2-3 because then you get those asian lashes that's really comfortable and well made.